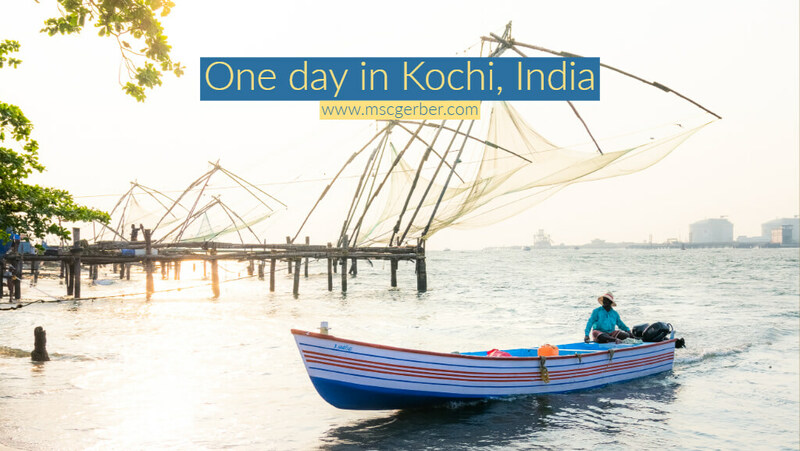 Kochi, which is also known as Cochin, is the biggest city of the Indian state of Kerala and used to be the “Queen of the Arabian Sea” due to its huge importance in spice trading from the 14th century onward. It is not only Kerala’s main financial and educational hub but also the starting point for many Indian and international traveler visiting the state of Kerala. 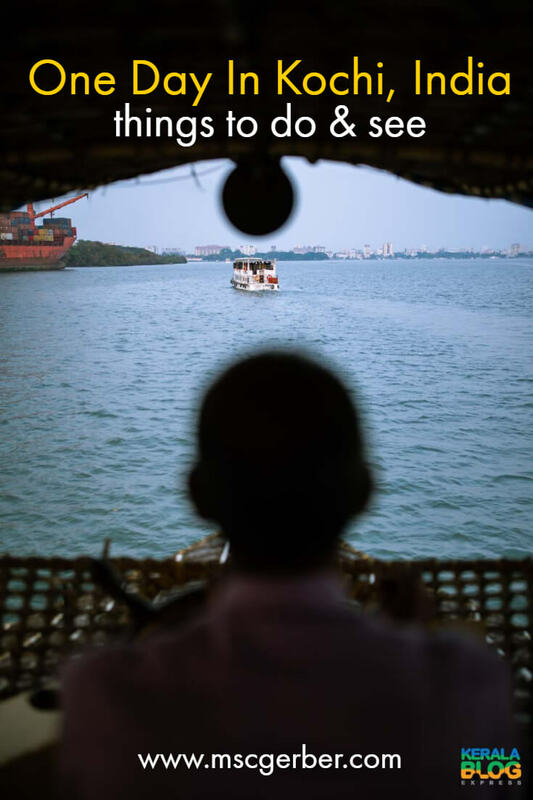 Today I want to share with you the best things to do in Kochi in one day – to get the maximum out of your visit to Kochi. By Plane: Cochin International Airport is well connected to major cities across India and also the world. From the airport to the city center it is 29 kilometers. There are several buses, taxis and even trains that can be used to get from the airport to the city. Fun fact: Cochin International Airport is the first airport worldwide running solely on solar energy. By Train: You can also easily reach Kochi with the extensive Indian Railway Network. There are connections from several cities, including New Delhi to Kochi or Goa to Kochi, which is one of the most popular connections to Kochi by train. By Road: Of course, it is also possible to drive into Kochi on the road and/or take a bus. However, I highly recommend you taking one of the first two options, as traffic in India is extremely crazy and I personally wouldn’t want to drive there. To check for the best options I recommend checking your possible connections on 12Go.Asia, where you get an amazing overview and can book your train/plane/bus within seconds. Getting around in Kochi is quite easy: I recommend using Autorickshaws (like Tuk-Tuks in Thailand) or Taxis. The rickshaws shouldn’t cost more than 30 Rupee in Fort Kochi Area, 50 Rupee around Ernakulam. To arrange transfers simply talk with drivers on the street or ask in your hotel/guest house. Be ready to bargain, as usually, the drivers will try to oversell their rides. Another way to travel around Kochi is to hire a bicycle, scooter or even a car. Depending on your itinerary and plans this might be a good option. Public transportation in Kochi is also available, but not really extensive. 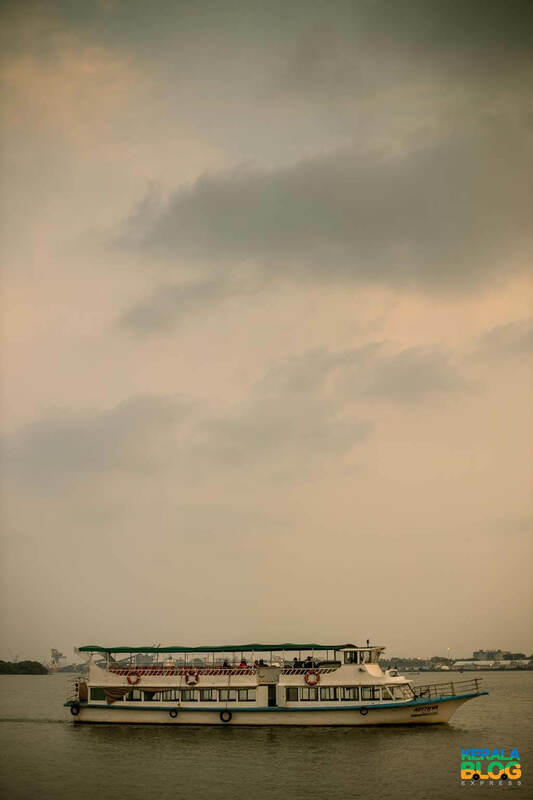 There are ferries (to connect Fort Kochi with the “mainland), Buses and even a metro line. If you plan to just spend one day in Kochi, I definitely recommend getting around with a Rickshaw or Taxi though, as you will need much more time otherwise. One of my highlights during my day in Kochi was the “Cheena Vala” (Chinese Fishing Nets) that you can find in the Fort Kochi area. They are fixed land installations for fishing which hold out horizontal nets of 20 meters or more across. These fishing nets are a huge tourist attraction in India, as they were only used in certain areas. Initially, the fishing nets were brought to Kochi by Chinese explorers in the 14th century. You can even find this influence in the name of the city, as “co-chi” (Kochi) means “like China”. 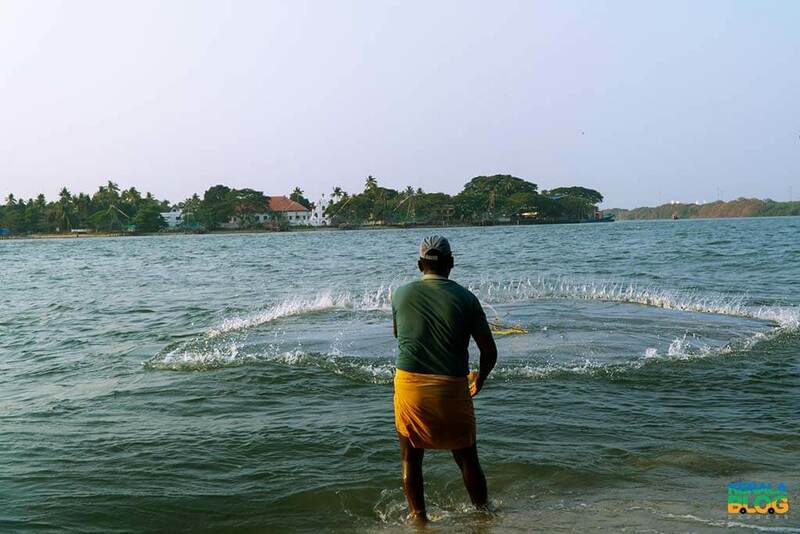 The nets are still used by local fishermen in Kochi, but developed mainly into a tourist attraction, as they are extremely picturesque and attract visitors from all over the world. 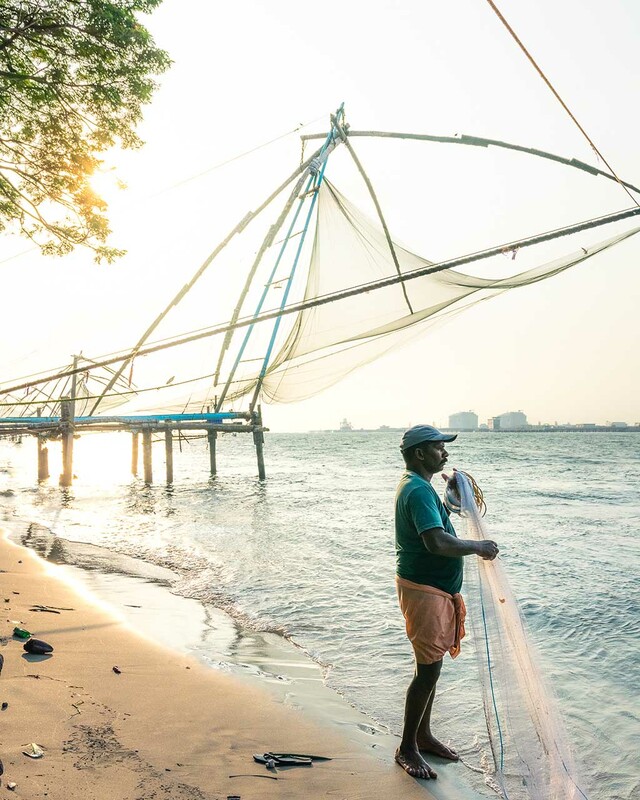 I personally recommend visiting the Chinese Fishing Nets during sunrise or sunset to enjoy even better views and take great pictures, which makes it one of the most interesting things to do in Kochi. The St.Francis Church in Kochi is one of the oldest European churches that you can find all over India and was built in 1503. 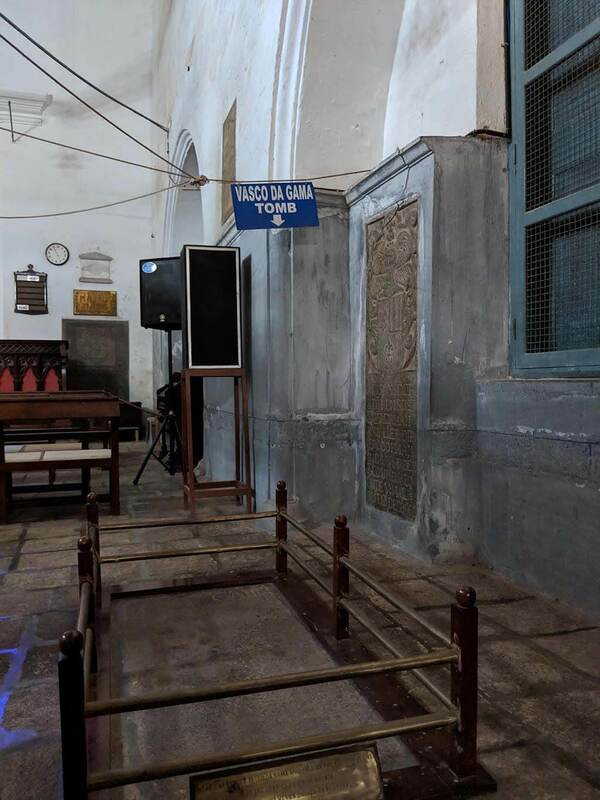 That’s already pretty cool – but what makes the church even more special is the fact that Vasco da Gama (yes, the famous Portuguese explorer!) was originally buried in this church, as he died in Kochi in the year of 1524. After 14 years he was moved to Lisbon though. The church is quite beautiful from the outside but rather dull inside. Outside of the church, you can also find some information about the church and the history behind it, which made the visit more interesting for me. 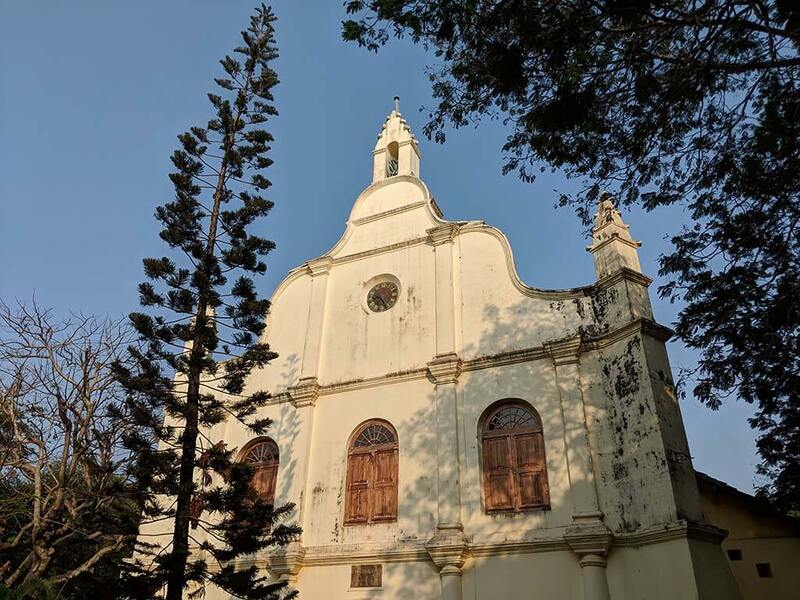 Overall, I would definitely recommend adding the St.Francis Church to your Kochi itinerary even when just spending one day in Kochi. Nearby the Chinese Fishing Nets you can usually find some stands that offer boat tours around Kochi. The prices vary from stand to stand but are usually pretty cheap. Just stroll around when visiting the Fishing Nets and I’m sure you will find a place to book a tour. We went for a short boat ride during sunset and had an incredible time. Not only did we see the beautiful scenery in combination with the sunset colors but also could we spot a few dolphins, that were basically “dancing” next to our boat. That was an amazing experience and taking a boat ride is certainly one of the best ways to do sightseeing in Kochi. Taking a boat in Kochi was a great idea! I was quite surprised when I heard there was a Jew Town inside Kochi – and was quite happy to add it to our things to do in Kochi during our visit. Jew Town is a narrow street the Synagogue and Mattancherry Palace and is the perfect place to buy souvenirs and antiques. 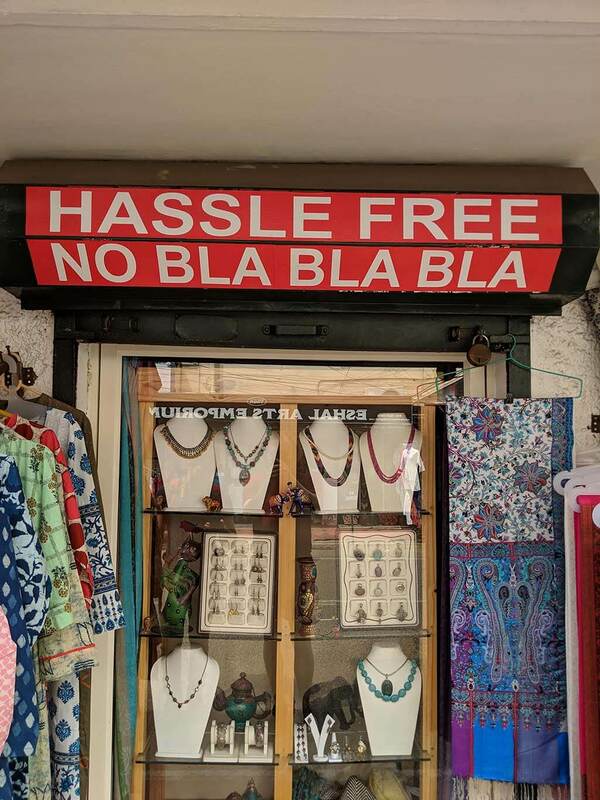 While strolling through the shops you can also interact with the shop owners, bargain with them or even buy something for your friends and family at home. While you are there you can also check out the Paradesi Synagogue, which opened in 1568 and is the oldest active Synagogue in the Commonwealth Nations. In Jew Town, you can find several shops, a synagogue and much more. A visit to Kochi or Kerala is not complete without watching one of the traditional Kathakali Dancing Shows. After a long day of exploring Kochi, you can spend your evening at an Indian dinner while enjoying this classical dance of India, which has its origins in Kerala. Performances run every day and are an experience you can get nowhere else, which makes it a perfect addition to your Kochi itinerary. You can ask for shows in your hotel or book a show with dinner + transfer in advance. 5* Grand Hyatt Kochi Bolgatty: 5-star waterfront resort with 2 pools, amazing facilities, and luxurious rooms. The hotel has a perfect location and offers delicious breakfast, including continental and Indian options. 5* Forte Kochi: Fancy hotel with great location (nearby almost all attractions) available for under 100$, which is an incredible value for a hotel like this. B&B La Lune Fort Kochi: Cozy Bed & Breakfast hotel with everything you need. Almost perfect ratings online and also with a good location. The Metro Pod Hostel: A Basic hostel with dorm rooms – perfect if you are traveling on a budget. I personally stayed in The Grand Hyatt Kochi Bolgatty and really enjoyed my 2-night stay there. The hotel had everything you could think of and offered one of the best breakfasts I’ve ever had in a hotel. Another option is Airbnb, which has some great deals in Kochi – with my link you can get 40$ off your stay! The best time to visit Kochi and enjoy all of the amazing things to do is between the months of October to February – which is “winter” time in Kerala. Temperatures usually range between 18 to 32 degrees Celsius, which makes it a pleasant time to visit. From July to September the monsoon season is in Kochi, which means a lot of rainfall! If this isn’t a problem for you it might be a good travel time, as you can get good hotel deals – otherwise, I wouldn’t recommend it though. In the months from March to June, it is summer time in Kerala and Kochi. The temperatures can go up to 35-40 degrees or even more. If you are not a big fan of heat it is recommended to avoid these months or simply adjust your traveling style (e.g: travel slower and make more breaks). I hope you enjoyed reading this article and I’d appreciate if you leave a comment if you have any questions or want to share your own Kochi experiences with me!